I keep getting prompted to wonder just how many “childish things” are actually for kids anymore, whether it’s superhero movies pitched to millennials, animated films aimed at people steeped in pop culture, video games more obsessed with reinventing the medium than being engaging to young minds, or, of course, board games. I own a lot of board games, I’ve played still more, and while it feels like a golden age of tabletop gaming for myself and my contemporaries, I can always remember the board game that was hidden away in one of the tiny, nearly inaccessible shelves in the laundry room. It wasn’t risqué, or particularly complicated, just a trivia game pitched to a level well above what kids would engage with. Even casual players might have had trouble. Oh sure, we eventually cracked it out and gave it a go, we said it was fun, and that was the end of it – but I still don’t remember what it was called, and we certainly didn’t mix it with the other games, let alone bring it out for another go. In the same vein, I can’t imagine how many games a kid might see on my shelf that would get the childhood mind racing – but I can’t imagine explaining Dead of Winter to an eight year old. Maybe that’s just my bias – I’m an adult now, I’ve forgotten how to think from the eight-year old perspective – but then I also have to think from the perspective of an eight-year old who isn’t me. I would have loved Dead of Winter at eight years of age. I would have been the only one. So my arsenal of games, so carefully tailored to be suitable to various groups of adults, feels somewhat inadequate for actual family games. Perhaps it’s just a function of not having any children of that age range in the family. Nevertheless, it’s fun to find a new game that immediately presents itself as, quite literally, fun for all ages. That game is Spot It, an unassuming little gem packed in a round can. In Spot It, each player has a card with a jumble of symbols on it – cheese, bananas, music notes, ghosts, keys, what have you – and a card is turned up from the center pile. Any given pair of cards in this game share one and only one symbol, and it’s up to you to shout out what your match is before anyone else can do the same. If you’re the first to correctly claim your match, you take the center card (which becomes your new card) and play continues. Once the center stack is exhausted, the player with the most cards wins. That’s all there is to Spot It, and I’d argue that’s all that needs to be said. I don’t need to tell you that’s a fun premise – it’s basically competitive Where’s Waldo. You don’t need a timer or pieces or convoluted scoring rules, just a set of pictures to compare as quickly as you’re able. You can play this game in 15-20 minutes, easily. Kids will not only get it, they’ll almost certainly be better at it than you. 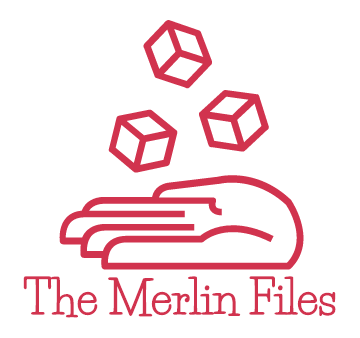 Not everything needs to be an earthshaking addition to the world of tabletop gaming. 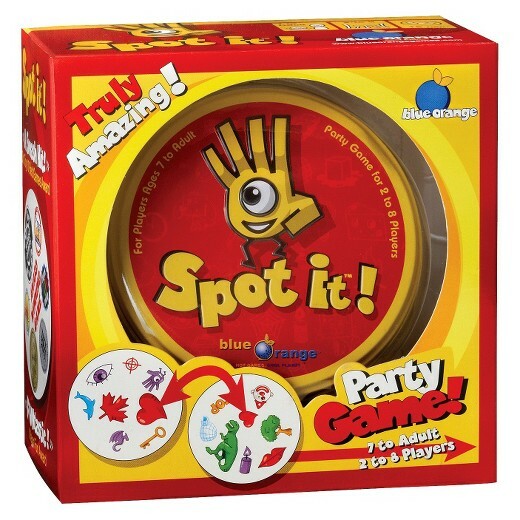 Spot It is just really easy and straightforward fun, and I’d play it with adults or kids at the drop of a hat. Best of all, it’s tiny and compact – great for traveling. There’s an art to getting simple things right, and you can find a demonstration inside this little can full of engaging short-form gameplay. If you have the chance, give it a go. It’s nothing world-changing, but again – it doesn’t have to be. It’s a small entertainment whose big value comes from how easy it is to play with anyone.